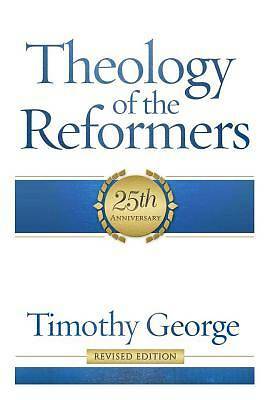 First released in 1988, this 25th Anniversary Edition of Timothy George's Theology of the Reformers includes a new chapter and bibliography on William Tyndale, the reformer who courageously stood at the headwaters of the English Reformation. Also included are expanded opening and concluding chapters and updated bibliographies on each reformer. Theology of the Reformers articulates the theological self-understanding of five principal figures from the period of the Reformation: Martin Luther, Huldrych Zwingli, John Calvin, Menno Simons, and William Tyndale. George establishes the context for their work by describing the spiritual climate of their time. Then he profiles each reformer, providing a picture of their theology that does justice to the scope of their involvement in the reforming effort. George details the valuable contributions these men made to issues historically considered pillars of the Christian faith: Scripture, Jesus Christ, salvation, the church, and last things. The intent is not just to document the theology of these reformers, but also to help the church of today better understand and more faithfully live its calling as followers of the one true God. Through and through, George's work provides a truly integrated and comprehensive picture of Christian theology at the time of the Reformation.